The 4th incarnation of Fly My Pretties launches next week and MisteR is proud to be the official styling partner for the Lads! It's looking to be an amazing show, with the wonderful Cybele dressing the Ladies, incredible visual artwork by Flox and of course music created by some of NZ's finest and most talented musicians. .....if you haven't, then you need to sort ya s**t out and get some tickets cos 'FMP IV' is looking to be their best show ever! We've been giving away tickets all week, but we still have 3 double passses yet to be claimed! Each double pass is worth $180. and we're going to give them to the next person who spends over $200 on our new season stock! So.....go......NOW.....click on this very text you are reading and grab sumthin! 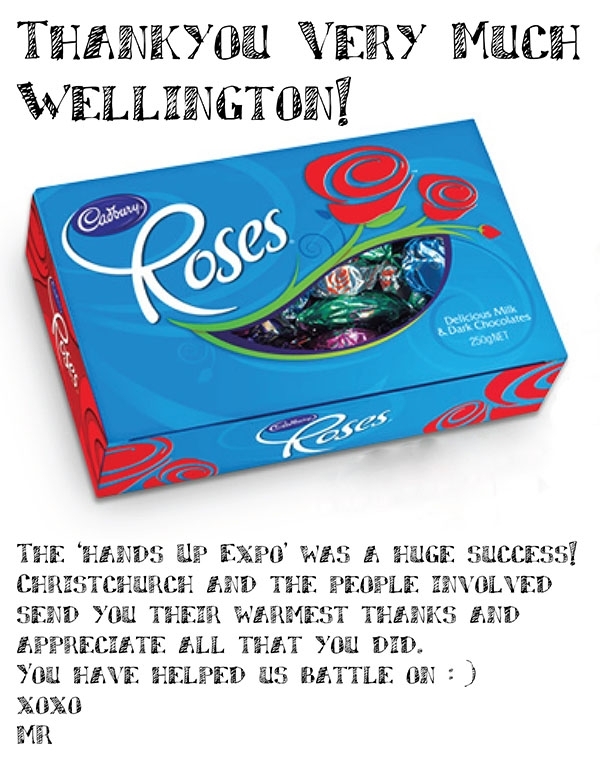 Available tickets are for Wellington 19th, Christchurch 31st and Dunedin 29th. This has been an incredible year for MisteR. We kicked off 2011 with a 6.3 earthquake which took out our city and workroom, forcing us to move into our garage; we launched our long awaited womens line; we debuted at NZ Fashion Week and were dubbed 'Best Show of the Week’, we're collaborating with Fly My Pretties as their official styling partner, and to top it all off - today we’re turning five! The first drop of our new Summer range 'Shoebox Diorama' is instore and online now, plus we have officially launched MisteR Womenwear and it's lookin fantastic! There's still plenty more Summer styles to come too so we'll keep ya posted on that. Looking back at the last half decade, we've had a hell of a lot of fun and achieved so much. It wasn't all easy, but we have had a great deal of support from friends, family, retailers and fashion media - but most importantly you the customers - who have been with us from the beginning. To show our appreciation we've got some exciting promotions and goodies! Firstly, we've marked down all our new season stock by 10%. Thanks again for your ongoing support :-) and Happy Birthday MisteR! *All discounts are effective from 12/10/2011 to 12/11/2011 and apply to online stock only. 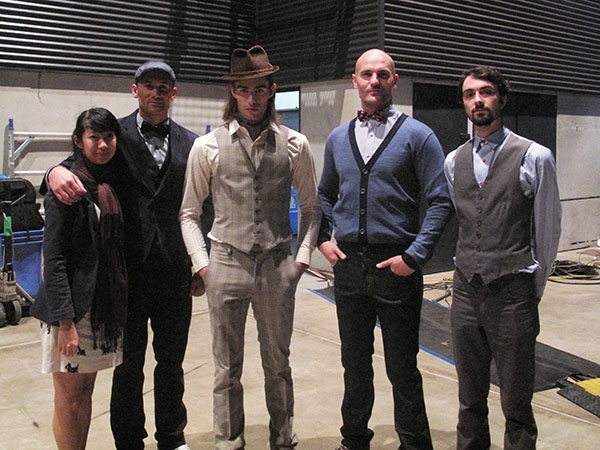 Well we did it...... MR debuted at NZ Fashion Week this year and WOW what a response! We trekked up to Auckland with the new winter range in our bags, not really knowing what to expect and we just did our thing. 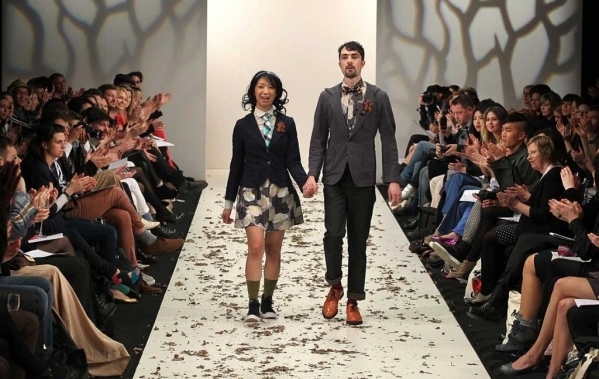 The next thing we knew we were receiving the first ever standing ovation at NZ Fashion Week and we had the crowd in joyous tears. Not braggin or nuthin but we kind of stole the show! Not only were we voted 'Best Show' at NZFW 2011 but we were also voted 'Best Goodie Bag' (thanks to Liminal Apparel) and Colin Mathura-Jeffree was voted 'Best Dressed Man' wearing MisteR. And of course thanks to everyone who has supported us over the years. We'll be in touch again soon, as we are about to launch our Summer range which you're gona love! And soon we'll have a full length video of our show for you to watch. Big thanks to our sponsor and ongoing supporter CPIT. Well the countdowns on, with only one week to go till NZ Fashion Week. It's been a busy time for the MR team. Only 6 weeks ago we were accepted into Fashion Week and in that time we have designed, sampled, photographed, cataloged an entire new range.....Winter 2012 'Not so Grimm'. And on top of that we've organised hair, makeup, sponsors, models, music...... phew! We have a fantastic show lined up and most excitingly we are debuting our new Womens line at NZFW. MisteR is proud to be sponsored by the CPIT. Helping make Fashion Week a reality. After a mad year in Chch, loosing our City and Workroom, things are looking up for MisteR. 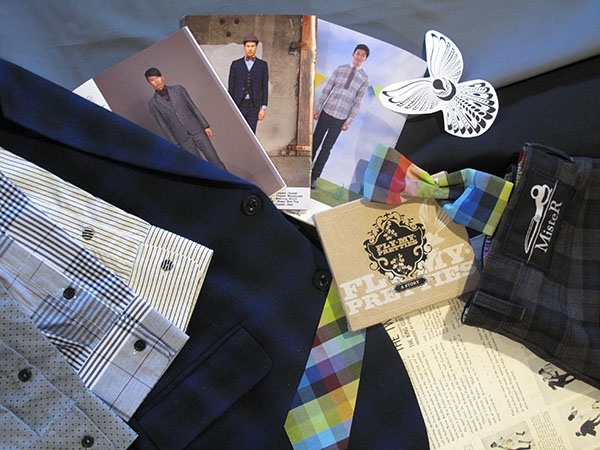 We've been selected to attend Auckland Fashion Week, the most prestigious fashion event in NZ. Next Top Model judge Colin Mathura-Jeffree said that MisteR (his favourite brand) is going to be one of the FW highlights this year! So if you're attending Fashion Week make sure you come along for a preview of our Winter 2012. On a side note, our Summer range is on its way, so we're clearing out all our online stock at Half Price. Grab some of our great Winter Wears before they're all gone. We've just finished our Photoshoot for next Summer's range and WOW it's lookin amazing! 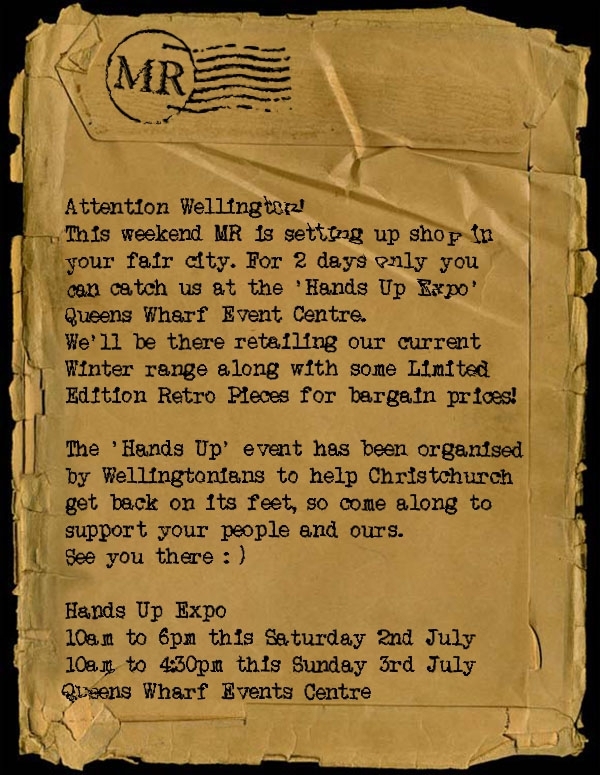 Also MR has been especially selected to attend the 'Hands Up Expo' in Wellington next month. With Winter almost definitely here make sure you grab some of our toasty Merino Knitwear before it sells out. We dressed Crusaders legend Caleb Ralph in the Cogset Suit which he looked utterly awesome in. Ben Barrington from The Almighty Johnsons was rockin the Kickstand Cardie and Saddle Shirt and model Harley was in the Basket Suit, what a crew! Thanks to Andhy Blake and Brooke Howard-Smith for putting this fantastic fundraiser together.......two and a half Mill....WOW! In other matters.....with our studio still out of action, MR has moved into the garage at home and truckin on as we must! We are currently sampling our Summer range and preparing for a photoshoot next week. Rumour has it MisteR is launching a womens line next summer, so keep ya eyes peeled ladies and don't worry lads you still our top priority plus now you know exactly what to get for the Missus for her birthday! Ps. We still got a few CD's left to give away with online purchases so get in quick! To mark the launch our new Bicycle Gang range we are running a special online promotion. New Zealand's finest musical talent alongside NZ's best clothing brand! Numbers are strictly limited so get in quick, especially if you'd like Isaac Aesili on 12"! Oh yea......you heard me right, delicious 12" vinyl! First in first served people!